Thanks to Pinterest, a little creativity, supportive teachers, and awesome kids, we were able to create these auction items for our school this year. For the project above, each student gave me his/her favorite Bible verse. We took individual photos with bright card stock and Photoshopped the rest. For this project, I stood near the top of a 10 foot ladder (with someone holding the bottom). We put down a white sheet and called the students to make one letter at a time. The the letters were Photoshopped into the words and digital mats were added. 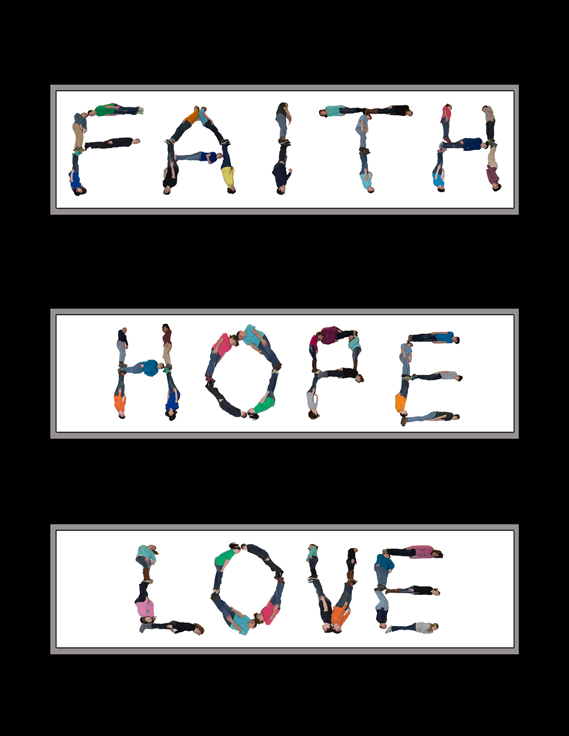 The sheet helped to make each letter the same height but some perspective and height adjustments were made in Photoshop as well. 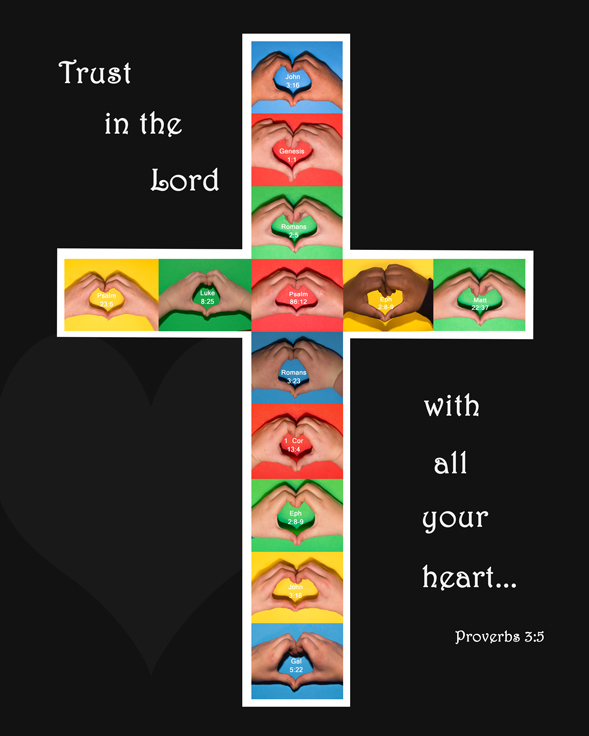 I love the photo of the hands making the hearts then forming the cross. I would like to use this idea for our class project for our school auction. We are a catholic school in North Carolina. Can you give me instructions on how to do this? I understand taking individual photos of the hands but how did you put it all together? I’m doing this for our auction too and clearly it is more difficult than I thought. How did you photoshop the letters to words and add digital matts? What program? Help!! My email is shleneeli@yahoo.com! I used Photoshop Elements. Good luck! What size print is the cross with the kiss hands? We printed it as a 16×20, I believe. I too love the cross and would like to give it to my faculty and staff for Valentine’s Day (2/14/16). Is there a way I can do this? I am a Catholic school principal in New Hampshire. I’m in the midst of making the kids words for our school auction. I’ve cut around all the kids and am making my layers. I’m in photoshop now, and wondering what size overall print you did yours in so I can create my background layer properly??? I’m planning on doing mine on a canvis print. Super cute project!! !